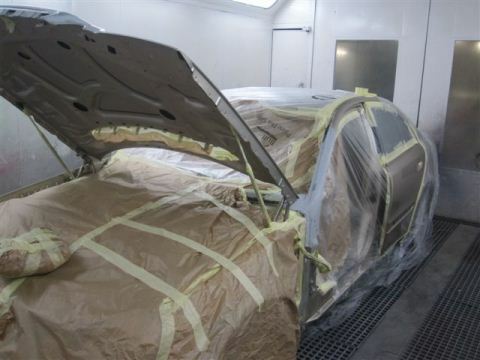 The vehicle then gets moved from the panel beating bay and prepped for spray, at the same time any new parts order for fitting get prepped at the same time. The vehicle and the parts get placed in the spray booth and painted at the same time together as to not allow any delay on the vehicle collection date. Once the paint has dried the vehicle moves to the polishing bay, to have all the parts polished before assembling to make sure we miss no spots under trims or beadings.